The images above are symbols to remind us and return us to our call as Christians to serve one another. The candle represents the light of God shining brightly through you. That light does not shine into an empty space where no one else can see it. Instead it shines out into larger and larger circles. Research has led Christian leaders at Vibrant Faith Ministries to create the “six circles of faith-nurturing relationships.” These circles remind us that we do not exist in a vacuum and are constantly being influenced by six ever-expanding circles: our peers, our family, our congregation, our community, our culture and our creation. The stone circles in the above image represent these circles of influence. During our Year of Service and Fellowship at First Lutheran we are raising awareness of these circles and then calling our members to answer their baptismal call by finding ways to serve each of these circles. Light the candle at the center of your spiral. Read the assigned scripture (see below). Share or write down what stood out to you about the scripture and why. Share or write down how you were of service to someone today and how you were served today. 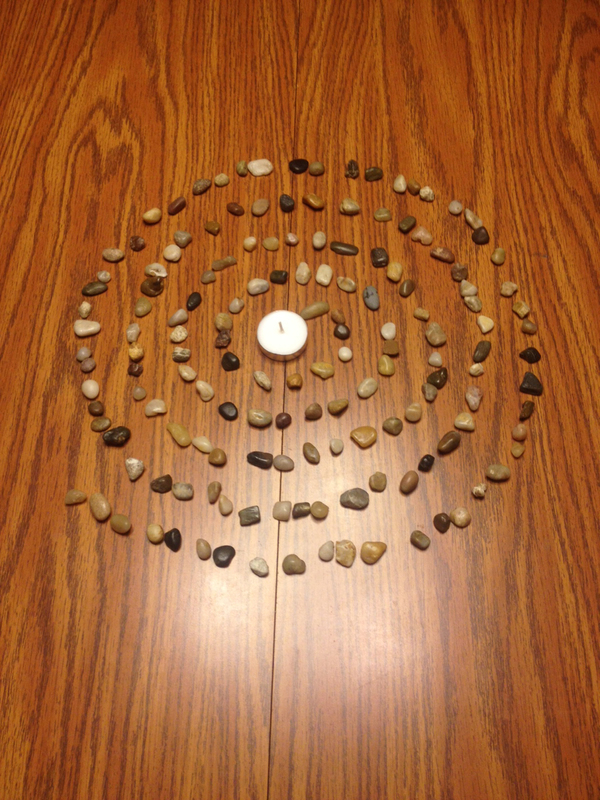 Starting from a votive candle, place rocks in a continuous circular line until you have created the “rings”. You may consider creating this center piece on a tray to make it easy to move. Please share your spiral with the church by emailing photos to andy@firstlu.org or posting them at facebook.com/firstlu! 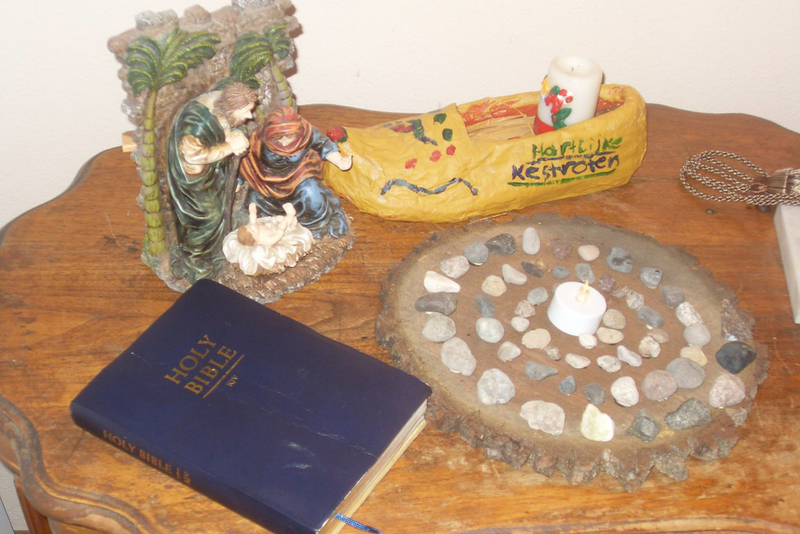 Newer PostThank you to Sunday School youth for sharing the Christmas message!